I'm learning quickly that taking a week off from the blogging world can be a bit overwhelming when trying to catch back up. I stayed away from everyone's blog, including my own, but I didn't stay away from my sewing machine. I took it with me on vacation and did a little sewing, but I mostly just enjoyed the time with my family and friends. 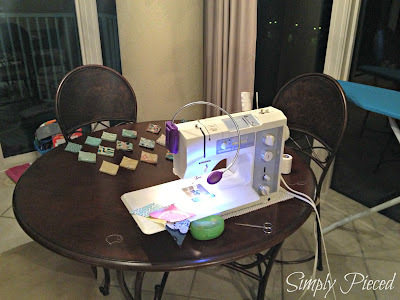 Here's my sewing nook on the breakfast table. I was able to finish one Arkansas Traveler block...mainly to see what a finished block looked like. I spent the rest of my sewing time finishing the diamonds for the blocks. I plan on sewing up a storm this week to make up for some lost time. please take off the word security! it is so hard to get it right!! 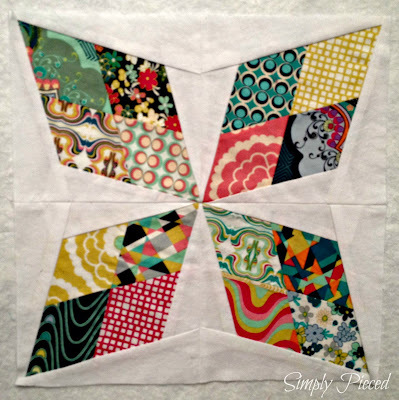 Gorgeous block, hope you catch up soon, but vacations are worth being a bit behind for! Love that you sewed on vacation!!! There's nothing better than a vacation at the beach! I'm so impressed that you took your sewing machine! love the block! 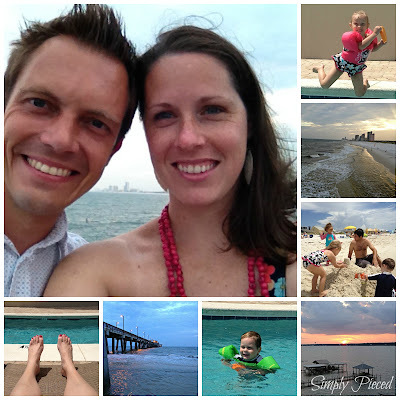 impressed you took your sewing machine to the beach, too! Great looking block! Looks like you had a great vacation with your sweet looking family! These times will become treasured memories. First of all, what fun pictures from your vacation! Family time is so important! Your block is amazing and I'm in awe you took your machine on vacation with you. LOL How fun! Beautiful block and family! Great vacation activity! It's a great way to recharge in a different location. The diamond block is so pretty! lovely block and enjoy your vacation!!! No need to worry about catching up on blogs most of us aren't going anywhere, lol!! Beautiful block and I hope you enjoyed your vacation....sometimes we all need a little break from blogging. Thanks for sharing. Love that block - yours looks great! 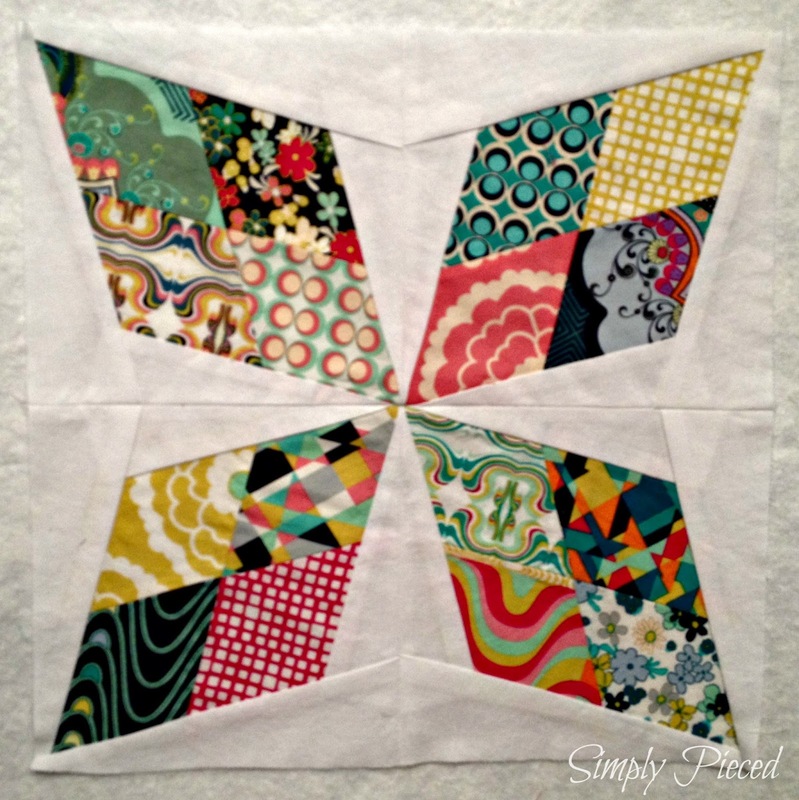 I love this star block! It looks beautiful! I love your scrappy arkansas traveler! I have plans to add a similar block to my current WIP, and yours has inspired me. Thank you! You know how much I adore Carnaby Street, and this block shows it off so well! Glad you had a fun time on vacation! This looks so cool! What a great block. I have go to check out this fabric line too, love it!